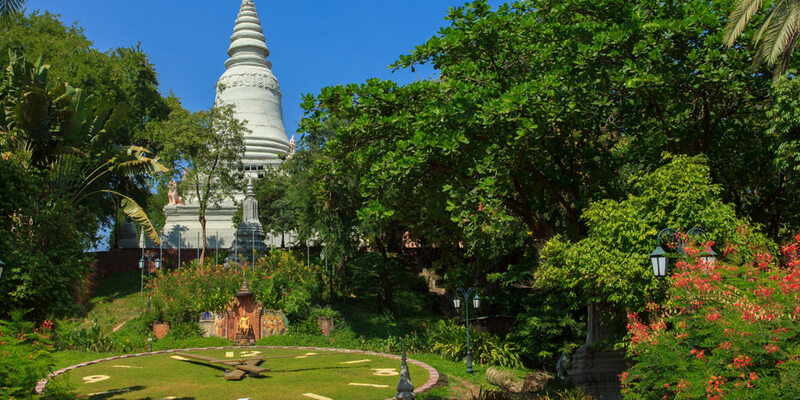 Be a Mahout for a day, try and spot the Irrawaddy Dolphins, take a private boat to the Trek Toal Bird sanctuary on the Tonle Sap, get close-up to endangered species at Phnom Tamao. A boat cruise on the Mekong will provide an insight into everyday Khmer life. Watch the locals going about their everyday chores – washing clothes, taking a bath or vegetable gardening. See the different types of houseboats lived on by the Cham (Khmer Muslims) and Vietnamese. Disembark onto Mekong Island to visit local villages where colourful mats and kramas (Khmer sarongs) are woven. En route back to the city, watch the sun set from the Mekong. Phnom Tamao is home to a selection of wild, exotic animals that have been confiscated from traffickers. Meet tigers, monkeys, bears and others, up close. Hear their intriguing stories from our expert guide. Later, visit Tonle Bati to enjoy a picnic by the lake before exploring the Angkorian temple of Phnom Chisor. Today we spend the day travelling through local villages and neighbourhoods to Kratie. You’ll see hills and mountains, watershed lowlands, dusty towns and incredible images which will fill your heart and give you a taste of this country. Kratie is home to the Irrawaddy dolphins of the Mekong. The river is stunning here featuring large islets filled with green water plants and calm pools. The reason for our visit is to see the critically endangered fresh water Irrawaddy dolphins, deemed sacred by fishermen. There are very few dolphins left in this region, so you may be among the last to see them. As you approach Mondulkiri, the landscape becomes more mountainous. You will notice that the forest cover varies, from the drier and sparser forest found in the southwest to the dense, impenetrable forest of the northern reaches. 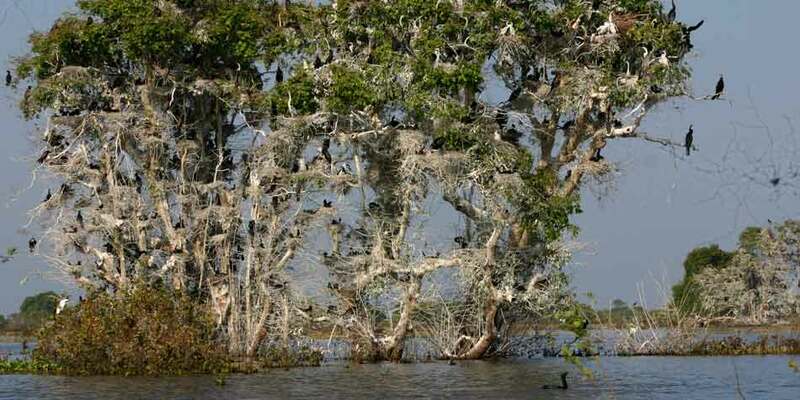 This area of Cambodia is rich in wildlife. Today we spend our time immersed in the simple yet amazing daily routine of the local elephants and mahouts. 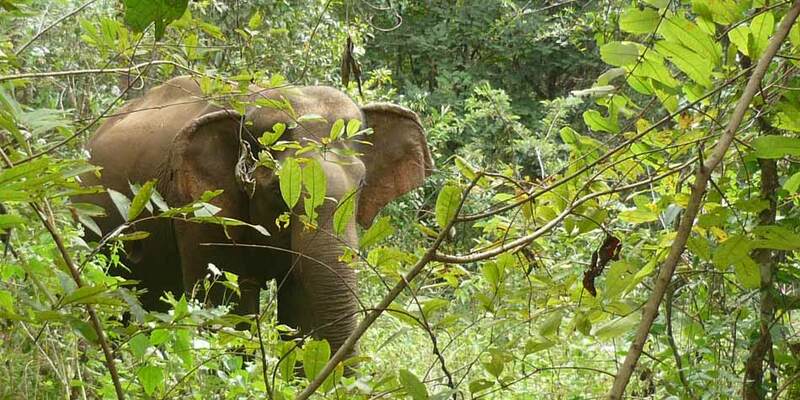 The Elephant Valley Project protects an area of forest from destruction to ensure that the Bunong people, elephants and the huge variety of other creatures in the forest have a habitat for the future. Surrounded by forest and grassland, this location is ideal for the rehabilitation of elephants. This is one of only a handful of elephant sanctuaries in the world. The day is spent learning about the projects’ conservation work. This morning we travel to Kompong Thom to see the most impressive collection of pre-Angkorian temple ruins in Cambodia at Sambor Prei Kuk. There are more than 100 small temples here, scattered throughout the forest. These are some of the oldest structures in the country and are an important destination for the serious temple visitor. Originally called Isanapura, Sambor Prei Kuk was the capital of Chenla during the reign of the early 7th century King Isanavarman. This area is a link to the distant past and not to be missed by enthusiasts. 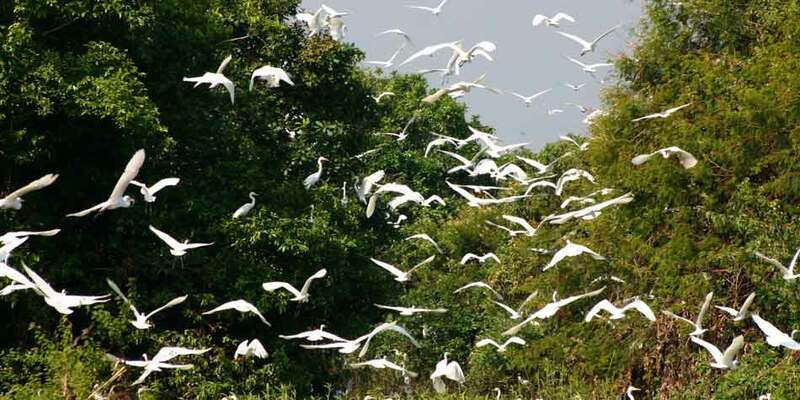 At dawn depart for Prek Toal bird sanctuary, quoted as being “the single most important breeding ground in Southeast Asia for globally threatened, large waterbirds”. 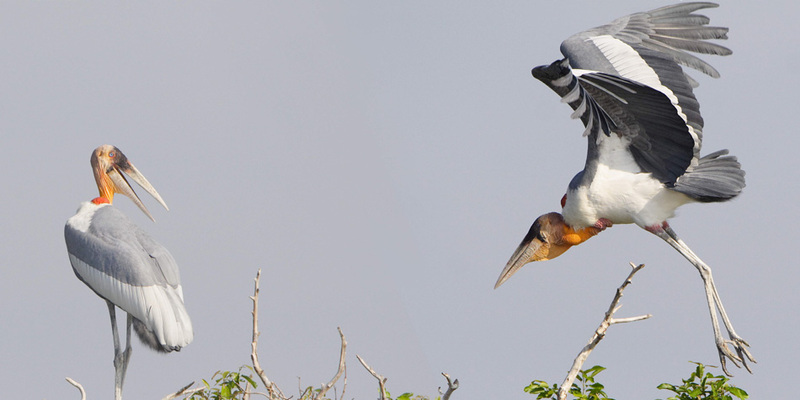 The morning is dedicated to bird watching along the waterways, the lakeshore and from the top of the watching towers where the rangers guard the colonies. At lunchtime, enjoy a local fresh fish meal cooked by villagers, and then tour the nearby floating village on a paddleboat organised by the community. Discover different aspects of the villagers’ activities: crocodile and fish farming, traditional medicine preparation, floating shops, spirit houses, floating schools, and more. Free and easy and then we’ll transfer you to the airport for your onward flight.